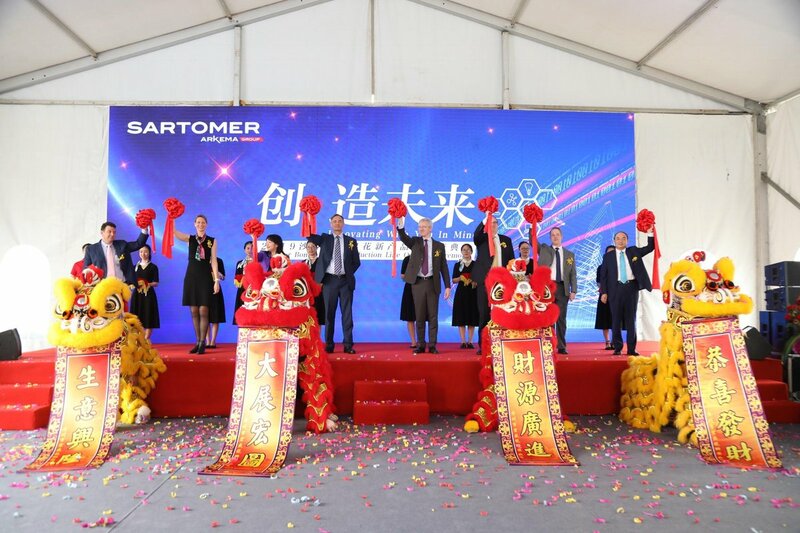 The inauguration of the new production line at the Sartomer plant in China. Photo via Arkema. Arkema develops advanced 3D printing materials through its subsidiary Sartomer, which produces photocurable resins such as N3XTDIMENSION and SAR-GEL, which is used to detect water at the bottom of fuel tanks. Earlier this year, Sartomer USA set up an in-house electron beam (EB) lab with standalone electron accelerators, to test and develop EB curable resins. At the time two more EB labs were planned, one in France and one in Asia.